If you don't see your ring size, please call 00800-2583-6453. We may still be able to help you. The selected ring size is temporarily unavailable. Please call 00800-2583-6453 for further assistance. 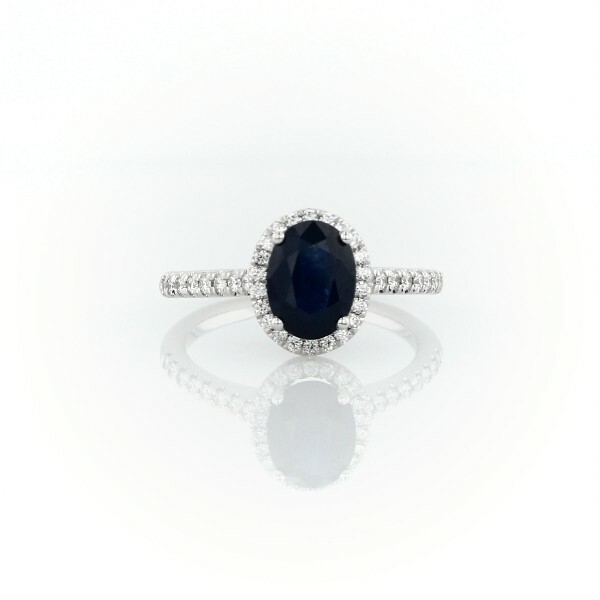 A shimmering blue oval sapphire gemstone rests elegantly in a halo of stunning micropavé diamonds set in 14k white gold.